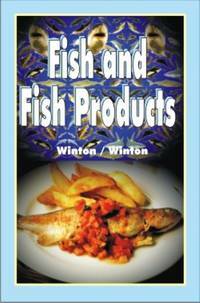 We can help you find the fisheries books you are looking for. As the world's largest independent marketplace for new, used and rare books, you always get the best in service and value when you buy from Biblio.com, and all of your purchases are backed by our return guarantee. Agrobios, 2017. 01. Hardcover. New. Vancouver, BC: Douglas & Mcintyre. Very Good+ in Very Good dust jacket. 1979. First Edition. Hardcover. 0888942184 . 4to 11" - 13" tall; 158 pages; Light edgewear and creasing, small ding on DJ spine, gift notation on front free end paper. DJ unclipped. Dust jacket in Mylar, a tight bright book. A beautifully illustrated study of the salmon fishery in British Columbia in the 1970's. Included are maps and charts. Illustrated by Colour Plates. .
Vancouver BC: New Star Books. Very Good+. 1994. First Edition; First Printing. Softcover. 0921586345 . Only light wear to card covers. ; A bright, solid book, Errata slip laid in. ; B&W and Colour Photographs; 8.90 X 7.80 X 0.30 inches; 110 pages; "The Adams River sockeye run is one of the natural wonders of the world. Every October, the river turns red as hundreds of thousands of mature, scarlethumped sockeye salmon return from the Pacific Ocean to spawn and die in the same gravel beds where they hatched four years earlier.Adams River tells the story of the salmons epic journey far out into the Pacific Ocean and back. Mark Hume brings together science and mythology in a fascinating story that reveals secrets of the Adams River sockeye that are only now coming to light. He explains the salmons vital role in the rivers ecosystem, and in the lives of the people who for thousands of years have lived along the rivers banks, and who have depended on the salmon for their livelihood.With many beautiful color and black & white photographs by photographer Rick Blacklaws and sixteen original drawings by Tom Moore, Adams River is the story of the magnificent creature that unites British Columbias rugged coast with its interior  the salmon." . British Columbia: Prince Rupert Fisherman's. Very Good in Good+ dust jacket. 1967. First Edition. Hardcover. DJ is a little chipped & worn, book a little bumped. Previous owner's name on half title page. ; DJ in Mylar, tight solid book. ; B&W Photographs; Large 8vo 9" - 10" tall; 279 pages; An in depth look at the formation & history of the fisherman's co-operatives on the Canadian Pacific coast. Hill joined the Brirish Columbia commercial fleet as a troller in 1926. In a struggling young union, Hill was elected Secretary-Treasurer in 1937 and served in various positions with the union. He retired in poor health in 1958. .
2009-10-01. Good. Ships with Tracking Number! INTERNATIONAL WORLDWIDE Shipping available. May not contain Access Codes or Supplements. May be ex-library. Shipping & Handling by region. Buy with confidence, excellent customer service! Lantzville, BC: Oolichan Books. Very Good. 1991. First Edition. Paperback. 0889821038 . Signed by Author; Light edge wear to card covers, bottom fore corner creased. Light creasing; Signed by author on title page. A tight solid book. ; Trade PB; B&W Illustrations; 180 pages; Once, the north coast of British Columbia was dotted with cannery villages. Now only a few plants remain. In Gladys Young Blyth's new history of the northern salmon canning industry, many remarkable photographs- of the canneries, the fish boats, the workers- provide glimpses of by gone days in an industry that has been of vital significance to the development of the province. For each of the thirty-eight canneries on the Nass and Skeena Rivers the author gives a short history, the location, and a physical description of the plant. Her chronology of early- day to present methods of fishing and processing provides the reader with a clear understanding of how the industry functioned. Who were the cannery workers? How did they live in those isolated locations on the B.C. north coast? These and other questions are answered in this fascinating pictorial history. .
Vancouver BC: Greystone Books,Canada. Very Good+ in Very Good+ dust jacket. 1995. First Edition. Hardcover. 1550541927 . DJ and boards show very light shelf wear. ; A bright, solid book, dustjacket in Mylar, unclipped. ; Colour photographs; Small 4to 9" - 11" tall; 114 pages; "This stunning portfolio of photographs by acclaimed wildlife photographer Hiromi Naito depicts the natural history of the sockeye salmon in all its mystery and drama, beginning as the sleek sea-run adults mass at river mouths to begin their arduous journey to their natal streams. All the stages of the salmon's life cycle are illustrated by superb full-color photographs, including underwater images that have never been seen before. Taken through the fish's eyes, these photographs offer a unique view of the salmon's life and world." . Vancouver BC: Greystone Books. Near Fine in Very Good+ dust jacket. 2000. First Edition; First Printing. Hardcover. 1550548093 . 9.10 X 6.30 X 1 inches; 244 pages; The North Pacific Ocean is the planets last great producer of fish, giving up about 25 million tonnes annually. Commercially, it has surpassed the Atlantic Ocean in importance, and Hong Kong has replaced Rotterdam as the worlds busiest port. Increasingly, the North Pacific is a region of key geopolitical significance. .
Toronto: McClelland & Stewart. Very Good+ in Very Good dust jacket. 1985. First Edition. Hardcover. 0771047320 . Small tears along top of DJ. Price-clipped. ; Dust jacket in Mylar jacket protector. A bright, solid book. ; B&W Illustrations; 9.10 X 6 X 0.90 inches; 187 pages; "R. D. Lawrence's fascination with sharks began in 1930 when he was nine years old and he caught a young sandbar shark in a net while diving in the Mediterranean." Renowned Canadian naturalist has written many books on the wildife of Canada . Vancouver BC: Pacific Salmon Commission. Very Good in Very Good dust jacket. 1991. First Edition. Hardcover. 096949470X . Some edge wear, short tear with attendant creasing bottom fore edge of DJ ; A bright, solid book, DJ in Mylar ; 4to 11" - 13" tall; 438 pages . Madeira Park, BC: Harbour Publishing. Near Fine in Near Fine dust jacket. 1994. First Edition. Hardcover. 1550171100 . Only slight wear with light fading of DJ spine. ; A bright, solid book, DJ in Mylar ; Color Illustrations; 0.7 x 11.1 x 8.7 Inches; 152 pages; "Steveston is a small town with a big past. Located at the mouth of the Fraser River, its founder Josiah Steves once touted it as a rival to the nearby city of Vancouver, a would-be metropolis built on the wealth of its great salmon fishery. While this goal was never achieved, Steveston did reign for most of this century as Canada's largest fishing port. During fishing season in the early years its population multiplied tenfold and social life took on the quality of a boom-town, complete with gambling halls, opium dens and countless hook shops. Large populations of Indian, Chinese, Japanese and European workers gave it a uniquely ethnic atmosphere. Today its picturesque main street and nearly abandoned "Cannery Row" hint at a colourful past, a past well-known historian Duncan Stacey and writer Susan Stacey thoroughly document in this first-ever history of one of BC's most fascinating waterfront. communities." It is now known for being the Storybrooke setting for the TV show 'Once Upon a Time'. .
Vancouver BC: Vancouver Maritime Museum Society. Very Good. 1982. Softcover. 0919253040 . Light creasing of paper covers ; A bright, solid book ; 8vo 8" - 9" tall; 24 pages . Vancouver BC: Fisherman Publishing Society. Good+. 1974. First Edition; First Printing. Paperback. 0919802001 . Card covers show shelf wear, some soiling and creasing, corners worn. Previous owner's name on front fly and gift notation on back of front card cover ; A tight solid book. ; B&W Illustrations; 57 pages . Berlin: Benjamin DeCasseres at the Blackstone Publishers. Very Good+ with no dust jacket. 1936. Paperback. 9783865413055 . Light edge wear to card covers ; A bright, solid book ; Trade PB; 8.39 X 6.02 X 1.18 inches . Victoria, BC: Horsdal & Schubart. Near Fine. 1996. First Edition. Softcover. 0920663435 . Only slight wear to pictorial card covers ; A bright, solid book. ; B&W Photographs; 8.40 X 5.10 X 0.40 inches; 138 pages; From the back cover: "Supporters point out that fish farms produce food, create jobs and boost the local economy, as well as earning millions of dollars in export sales. Critics say they contaminate the ocean, spread diseases and harm seals and whales, and that Atlantic salmon escaping from the pens threaten the survival of the remaining wild Pacific salmon stocks." . Saanichton, BC: Hancock House Publishers. Very Good+ in Very Good dust jacket. 1975. First Edition. Hardcover. 0919654436 . Dust jacket scuffed and lightly chipped with light soil ; A bright, solid book, dust jacket in Mylar jacket protector. ; B&W Illustrations; 4to 11" - 13" tall; 224 pages; The writers go back to the early days of Native fisheries and the establishment of Steveston village BC as a centre for the fishermen and its canneries, the effect of WWII on the Japanese-Canadian fishermen and the dangers involved in fishing the Pacific Ocean. .